BELLEVUE, Wash., October 17, 2016 – The ability to vote is one of the most important American civil liberties. However, U.S. Census Bureau research shows that one of the primary reasons people don’t vote is due to travel: they are out of town on Election Day. 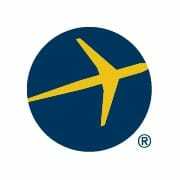 Several Expedia, Inc. brands, including Expedia.com®, Hotels.com®, Egencia®, and Travelocity®, are reminding travelers to take time to identify their voting strategy if they will be away from home on Election Day. According to Department of Transportation data, on any given day, approximately 1.95 million Americans take flight. If a sizable percentage of that number of people fails to vote because they are traveling, that can swing the election in one direction or the other. In the 2000 Presidential election, fewer than 500,000 votes separated the candidates. Absentee ballot and early voting are two tools that are particularly valuable for citizens who may not be home on Tuesday, November 8. That’s why in advance of Election Day, Google is making the voter registration process easier than ever before by giving citizens detailed information on how to secure an absentee ballot and vote early, directly on Google Search. Check your voting deadlines, learn early voting deadlines, and see how to cast an absentee vote. Every traveler who books a trip away from home on November 8 will receive an alert from Expedia letting them know that the travel will impact Election day voting. They will be encouraged to cast an absentee ballot, or early vote in the 34 states that permit it. Expedia, Inc. brands, including Expedia.com, Hotels.com, Orbitz, CheapTickets, Egencia, Travelocity and Hotwire are conducting email outreach to hundreds of thousands of consumers and utilizing various communication channels to encourage travelers to vote. Expedia not only encourages people to vote, but it’s obvious who they prefer. Another major corporation that has the incredibly stupid policy of alienating up to 50% of it’s potential market.